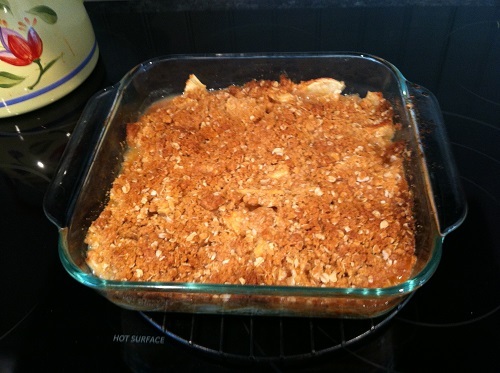 Nothing tastes better on a cool fall evening than some warm apple crisp. Warm apples with crisp cinnamon-y, oat-y, buttery topping. Mmmmmmm. Don’t you think? I just love it. I wait all spring and summer to be able to get that fall-ish feeling in the air and it’s time to buy apples. Honey Crisp apples. Sweet, juicy, crisp. 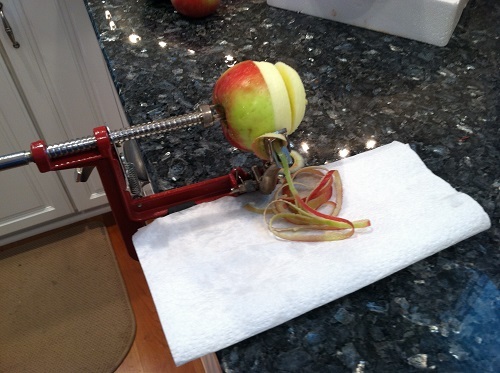 The best kind of apple ever grown. I used my tried-and-true The New Good Housekeeping Cookbook recipe from the cookbook my mom gave me when I got my first apartment in 1992 (oh my gosh, that was twenty-one years ago. I feel old.). The copyright date is 1986 and if you click that link, Amazon has them starting at $0.01. A great basic cookbook with everything in it. I also get my go-to meatloaf recipe from here. 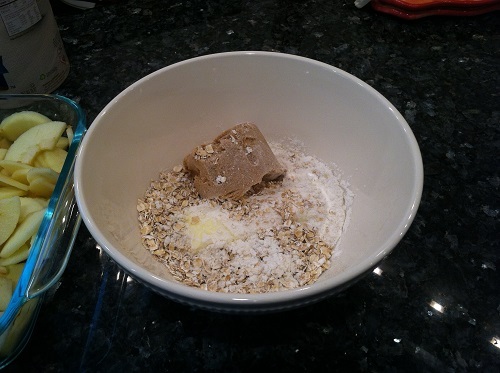 And my go-to banana bread recipe. 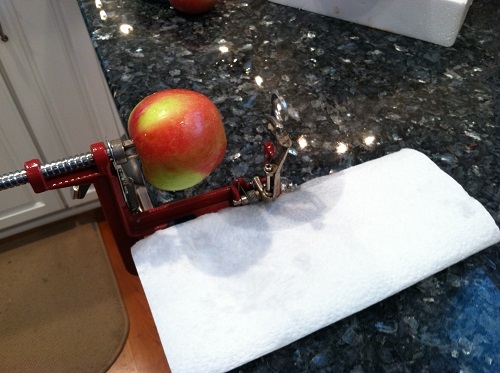 A note on the apples: I used honey crisp apples, which many will tell you shouldn’t be used because they are watery and get mushy. Well, they kind of do. But I love them in this anyway. 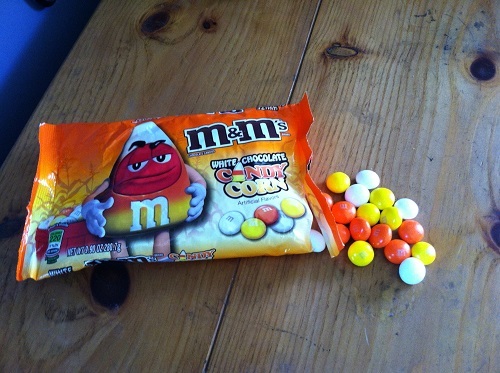 They do not taste like candy corn. At all. Paul likes them. 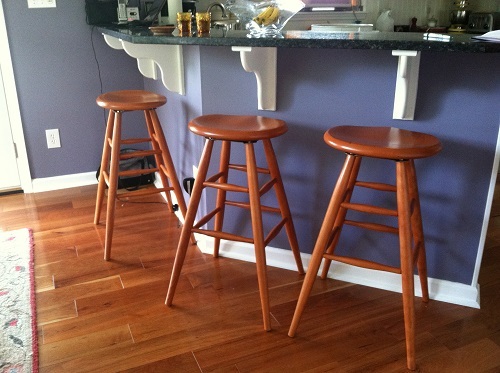 And speaking of the kitchen – since we were cooking in it – we finally got our counter stools! We have been waiting for these for twelve weeks. They said it would take eight. They are made at a small company in Massachusetts that apparently takes their time making them. The wait was worth it because we love them. They match our floors perfectly. They swivel. The fit nicely under the counter and don’t crowd the dining room table area. Please don’t enlarge the picture, because then you will see I haven’t vacuumed lately. What? I’ve been busy. Posted in Uncategorized on September 20, 2013 by lizytish. But of course I tried to zoom in to see the dust hahahahahahaha, but, can’t be done on your blog while using iPad LOL….bar stools are geaueaueaugeous. 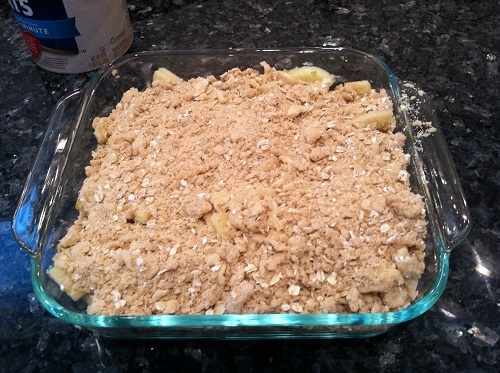 BTW did the doodlebugs like the Apple Crisp? 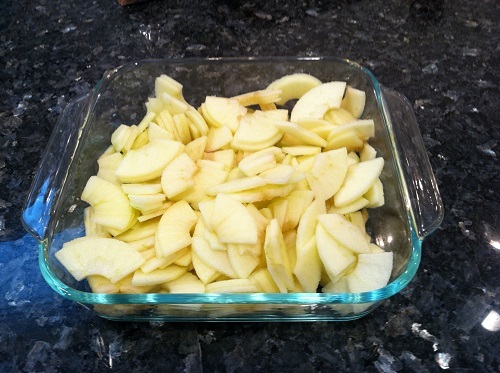 I’ve always used Granny Smiths for AC, but since you introduced me to my now favorite apples – Honey Crisps- I may mix the two …I’ll let you know how it goes. So glad you still use that cookbook – might get myself one. 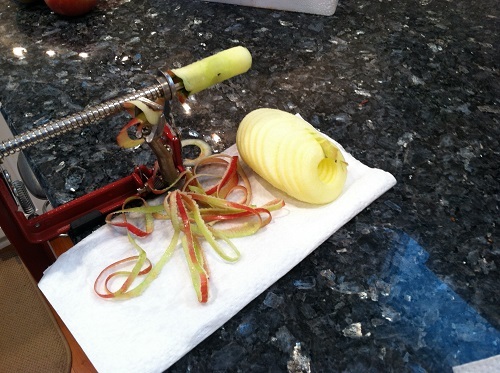 Might aso get one of those apple corer/peeler/slicer too !! !